Tax Day is here and thats never fun so lets go over the big deals of the day to help ease the Uncle Sam crunch! The majority of these deals are only offered today, April 15, but a few deals extend to the end of the month, like Applebee's and their $1 strawberry margaritas! Hooters: Kids eat free through Monday with a $15 adult purchase at participating locations. Some locations are offering the deal over the weekend and a list of participating locations. Office Depot/OfficeMax: Through April 27, get rid of that paper trail with up to five pounds of document shredding on the arm with a coupon posted at www.officedepot.com. 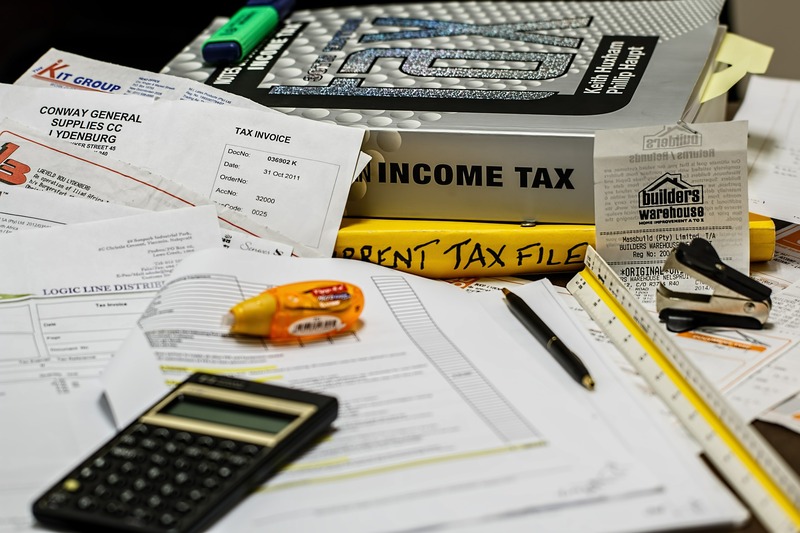 Planet Fitness: This Tax Day promotion rollss now through April 20. Whether you're a member or not you can roll into a Planet Fitness and use a HydroMassage chair with a coupon at www.hydromassage.com/taxday. Boston Market: The $10.40 Tax Day meal special includes a half chicken individual meal with two sides, cornbread and a regular fountain beverage drink! 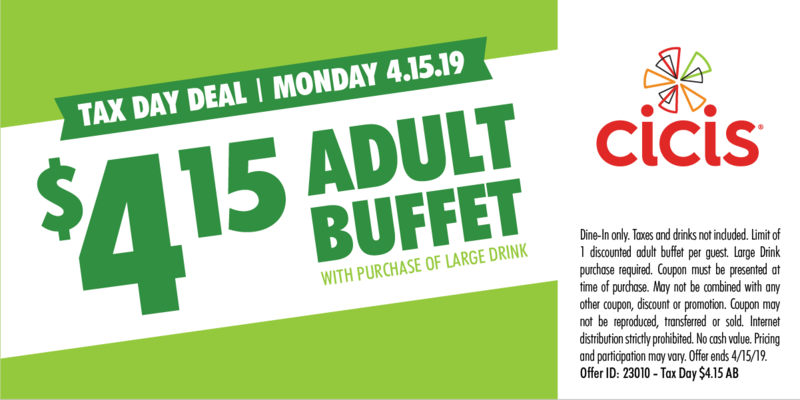 Cicis: Adult buffets are $4.15 Tax Day with the purchase of a large drink and this coupon! Dunkin: DD Perks loyalty members can get a medium hot or iced coffee for $1 at participating restaurants nationwide. Join the program at www.dunkindonuts.com. McDonald’s: Mickey D's has several offers for Tax Day but non are really spelled out clearly... You have to go and ask or check on their mobile app including buy one Big Mac, get one for 50 cents. Noodles & Company: Members of NoodlesREWARDS will get $4 off online and mobile orders of $10 or more for Tax Day. Sign up for future offers at www.noodles.com/rewards. Pizza Hut: Today, get any large two-topping pizza for $5.99 with online carryout orders. Red Robin: Today kicks off the chain's Royalty Appreciation Week and Red Robin Royalty members can get daily deals with a purchase of $10 or more through Sunday, April 21. The Tax Day freebie is a free milkshake! White Castle: Get 15% off any order, today only, in-Castle with a coupon at www.whitecastle.com/value-offers.